Freelance writer based in Sydney. As LAPD detective Erin Bell, Nicole Kidman's transformation is startling. Her graceful beauty has been magically washed away. Her face is pale and gaunt, ridged by dark bags and topped by a tangle of dirty grey hair. And its all in aid of playing a woman who is a complete wreck. We first meet Erin as she wakes up in her car beneath an overpass in a sketchy part of town. She looks like she can barely function but still responds to a homicide call. This takes her to a riverbank where a shot-up body is staining the cement red. Erin notices dye-stained cash beside the body and is sent into a panic. 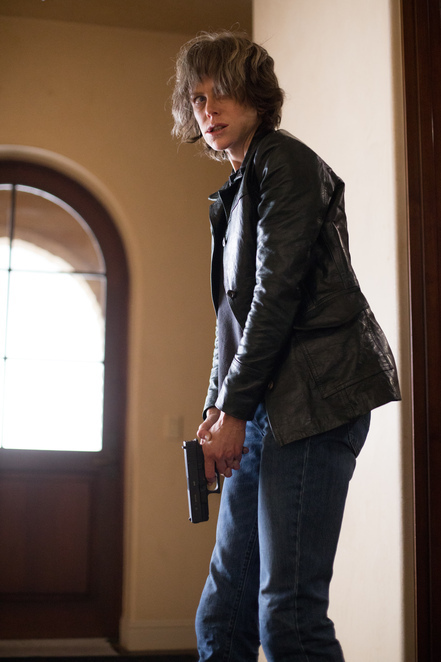 To her it means a murderous bank robber, Silas (Toby Kebbell), is back in business. And it's personal for Erin - two decades ago she was planted as an undercover agent by the FBI in Silas' gang. We learn of this through flashbacks (Kidman beautiful again! ), and we also learn that another undercover FBI agent (Sebastian Stan), who was romantically involved with Erin, was also planted in the gang. A violent bank robbery in the California desert, where Silas escaped with millions of dollars, appears to be the source of much of Erin's later problems. So Erin launches her own crusade to catch Silas, ignoring the contempt of pretty much everyone. Erin tears through LA, leaving destruction at every corner. Her mission to find Silas is all consuming. Even when her own past actions are called into question. Directed by Karyn Kusama, Destroyer made headlines well before its release thanks to Nicole Kidman's appearance. But her performance is more than just make-up tricks. Kidman does plenty with her role, turning Erin into a complex force. It's a role that's refreshing - a notable contrast to all the bitter men who have roamed LA's streets in noir thrillers past. The plot is also pleasing, wrapping the threads of the mystery together, slowly revealing more about Erin's undercover days with Silas. Scenes including a present-day bank robbery, and a violent confrontation with a Silas associate, ratchet up the drama and prove compelling. A sub-plot involving Erin's fraught relationship with her troubled teenage daughter proves less worthwhile. Director Kusama's portrayal of Los Angeles is also interesting. Here is the City of Angels beyond the sparkly lights. Instead, the city is rendered as nothing more than drab concrete and asphalt, the settings industrial or in forgotten neighbourhoods where the only colour comes from faded murals. Even the city's fabled sunshine is dialled down. 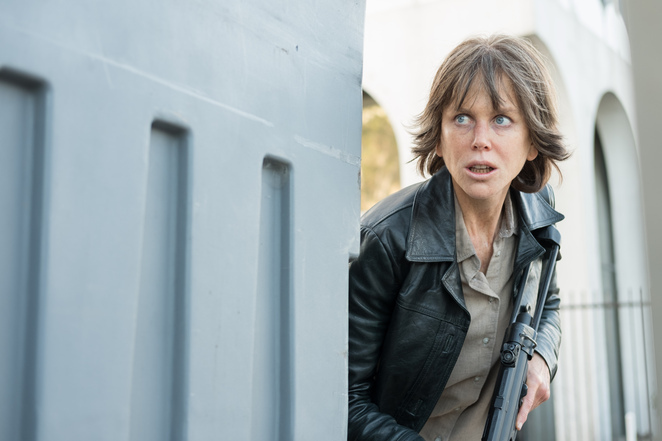 Destroyer is an agreeable thriller. It has its missteps, including moments that stretch credibility, but you'll probably still want to find out if Erin catches Silas.